The ConceptSQ uniquely offers specification flexibility combining sterile barriers with front-loading single or double mechanical seals, external rotor fixing, and superb self-draining characteristics. As a result, the range delivers benchmark CIP and SIP performance, together with the simplicity of maintenance to assure minimum downtime. Together, these features deliver tremendous operational benefits across a broad spectrum of applications. From the start, the SQ range was designed to eliminate potential product-retaining areas in the flow path through the pump and, where required to provide the facility for permanent sterile barriers at all product/ atmosphere interfaces. With its self-draining capabilities, the SQ offers superior hygienic flow of product and meets stringent EHEDG (European Hygienic Equipment Design Group) certification criteria for cleanability. Whether your requirement is simply for CIP to a standard not achieved by existing designs or the extreme cleanliness demanded by biotechnology processes, this formidable combination of features allows SQ to maintain the specified environment with exceptional reliability and efficiency. positioned directly behind the rotor maximizing drainage from and cleaning of the seal areas. 316L low carbon stainless. Product-wetted surfaces are of 316L low carbon stainless steel for improved corrosion resistance and minimum carbon migration, finished to the standards required for application acceptance. Optimum cleaning performance. Internal corners in the flow path through the pump are radiussed to minimize product retention and give optimum effective cleaning performance. Multi-lobe rotors. New multi-lobe rotors with internal location and drive are retained from outside the pumping chamber to eliminate the crevices associated with conventional fixing methods for optimum cleanability. Controlled compression joint. Front cover fitted with a controlled compression join, allowing barrier circulation where required, whilst eliminating all the inaccessible product-retaining crevices associated with static ‘O’-ring joints. 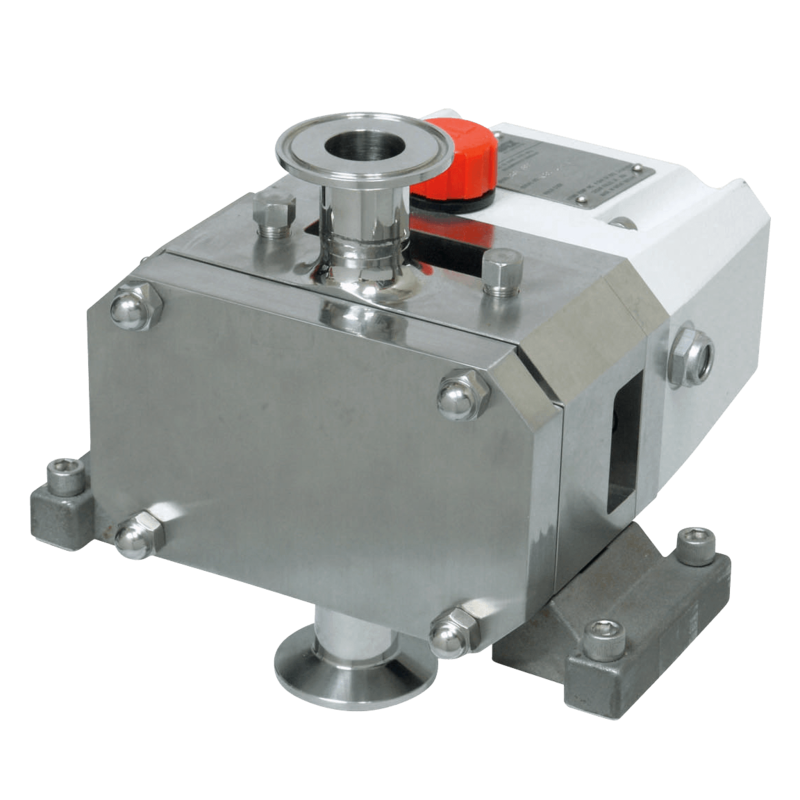 Inlet and outlet ports can be finished to a variety of clamp, thread or flange standards, with aseptic fittings available where barrier circulation is required to ensure that the process environment is reliably maintained.